So AWeber has been working hard to create buzz around a big announcement they’re making on October 20th. I’ll admit that I haven’t been paying close attention, but it appears that they’re going to be introducing some new features or perhaps an update to the UI/UX in their system. I’m interested. We’ve used and recommended their system since 2007, if I recall correctly. But the email they sent me this morning—which, again, endeavors to build anticipation for next week’s announcement—had an interesting twist: a live Twitter feed. 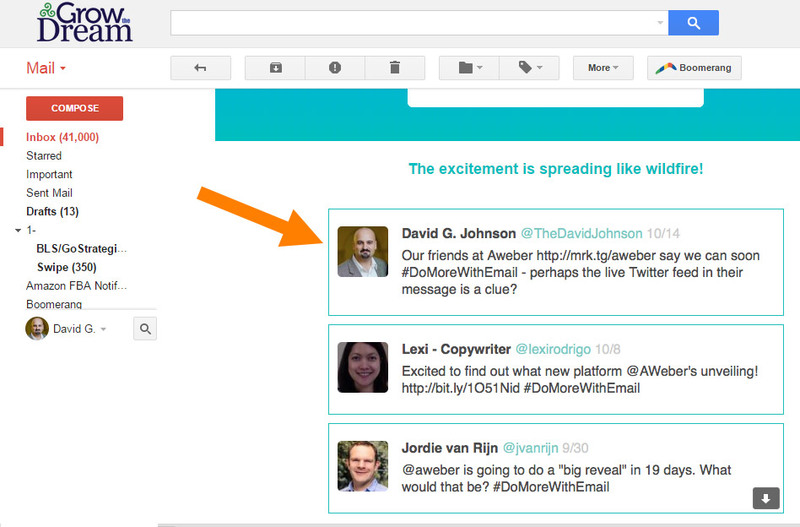 Our friends at Aweber http://t.co/EioWHbX45z say we can soon #DoMoreWithEmail – perhaps the live Twitter feed in their message is a clue? So… that’s cool. 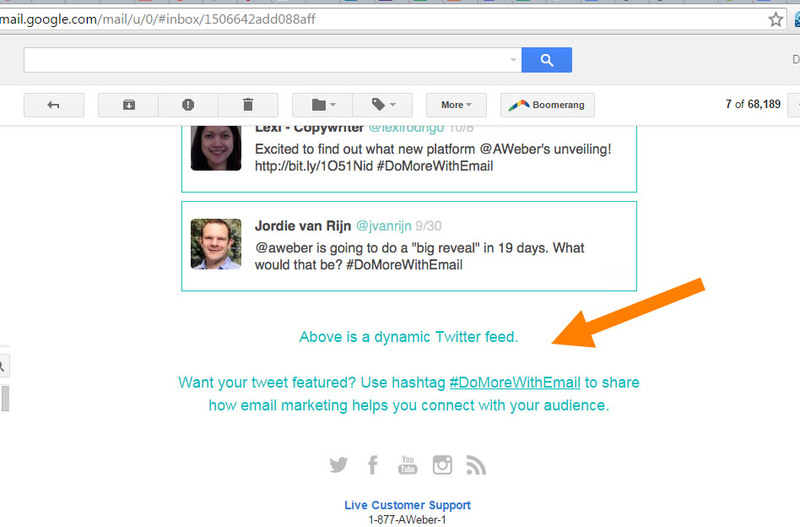 A live Twitter feed in an email! Apparently, they aren’t the first to do this. But… if they make this available to their users as a feature, they just might be the first ESP to do so. A serial entrepreneur with a passion for infecting others with business ownership, leadership & marketing bugs. Wanna join? What the Heck is a “Twitter”?